Even in a slow economy some companies continue to need tens, hundreds, and even thousands of new employees. The Adler Group helped the YMCA hire 120,000 camp counselors, which they do every spring to staff their summer camps. The typical call center continues to experience relatively high turnover and many sales organizations continue to be a revolving door for talent. Retail still has average annual turnover in the 80% range. Implementing a performance-based process for high-volume hiring can save both time and money by reducing turnover, increasing quality of hire, reducing training time, and making the hiring process more efficient. The key is creating a repeatable, predictable process that increases candidate quality and helps weed out the bottom half. If you’re going to hire more than 20 people into a single job category you should consider engaging The Adler Group to help. 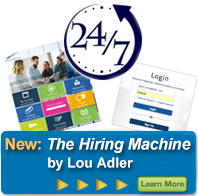 Often the secret to successful high-volume hiring is changing the way the whole process is designed. One of our first issues when engaging with the YMCA was to look at how their competitors were attracting talent. Camp America has potential candidates fill out a short 10-minute information card online which didn’t require a resume. Candidates were called back by a human being on the same day they applied. In contrast, the YMCA’s application process was paper-based, six pages long, and required confidential endorsements from up to six adults. You had to really want to work at the YMCA summer camp to go through the process. Process redesign and simplification can go a long way to increasing candidate quality, and we can help. Managers often don’t know where to begin. Some have great interviewing and assessment skills while others struggle. We’ve created custom Performance-based Interview tools for In-N-Out Burger, Arby's, Panda Restaurant Group, the YMCA, IBM/Cognos, HealthEast, and Bank of New York Mellon. We’ve customized the interviewing approach for sales, retail, customer service, call centers, and more. The key is to follow a performance-based process that allows managers to interview, assess, recruit, and close top people. For an overview of how we create custom interview tools click here. For more information contact bryan@adlerconcepts.com. Once the process and tools are in place, we can provide customized training programs that help you implement the new processes and hold managers accountable for hiring performance.